Caption slip reads: "Photographer: Monteverde. Date: 1959-09-02. 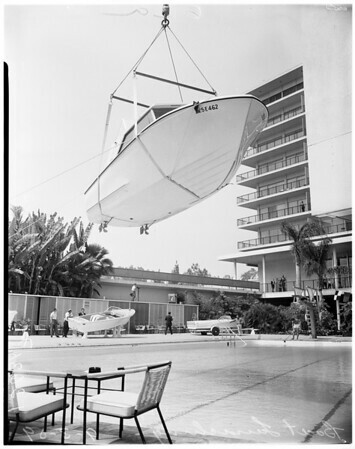 25' boat 'launched' by 80' crane at Beverly Hilton pool".